If you want to step up your game as an online marketer, one of the most essential things you should learn to do is creating and sending of reports to your clients. By making and analyzing reports, you’re giving your clients a good idea about what you’re doing for them and what the results are on their website. However, the process of creating useful reports can be tough since you have to balance the most relevant information to include. To get started, here’s how you can create an SEO report that will impress your clients. 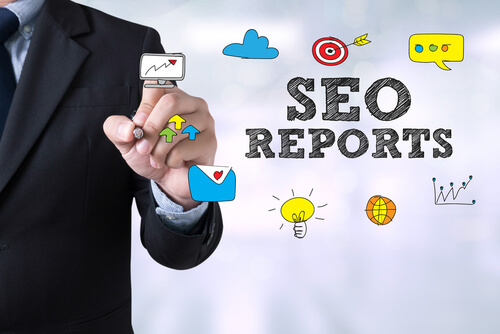 An SEO report can provide your clients with an accurate overview of their website’s current SEO performance and tactics on how to make it better. It typically demonstrates keyword rankings, new or lost backlinks, SEO metrics, and organic traffic. However, you should remember that every report is unique to each client and it depends upon a number of variables, including objectives, targets, and essential reporting tools utilized to gather data. Since your clients are sending money to you every month, it’s important to submit your reports to make sure they’re happy with what you’ve done for their business. After all, having a happy and satisfied client means getting more referrals and money in no time. The first thing you should do is determine your current SEO goals and analyze how you can align them with your clients’ business goals. Whether you want to increase keyword rankings, produce more inbound links, or boost overall search visibility, you have to outline what you’re working on and tell them why. 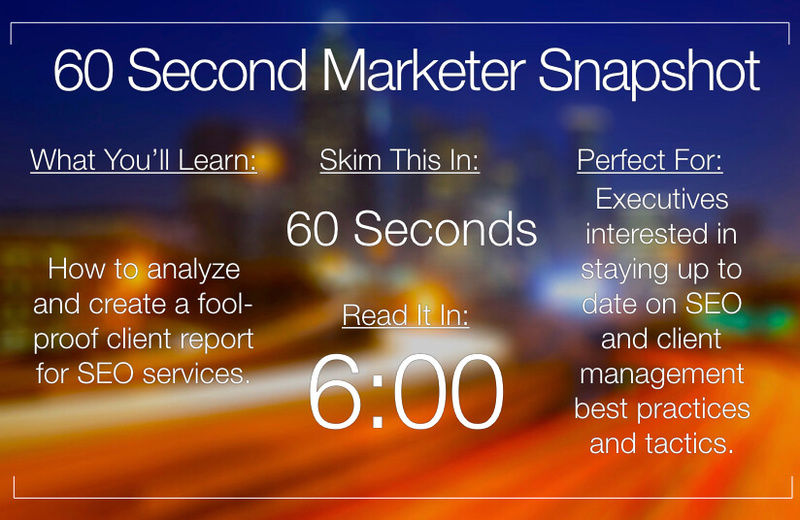 By doing so, you’ll not only make your report more straightforward but also establish your clients’ expectations. Planning how to accomplish your clients’ business goals using SEO strategies is something that you should absolutely think about when making your report. If you want to make sure your clients’ expectations and goals are met, start by forming out your plans on where you should focus your efforts. To do that, ask yourself “how” questions beforehand so you’ll stay on track and make concise reports. Remember, a clear idea of the things you should prioritize in your SEO reports will ensure that you don’t get lost in your current goal. After showing what you’ve completed so far, the next step you should do is to outline your procedure by demonstrating what you’ve already done to work towards achieving this goal. Ideally, your clients would like to see the evidence that what they’re paying for is worth it, which is why showing how well you’re working should be laid down in your detailed report. Keywords – Always keep in mind that keywords have become a significant portion of SEO, which is why it’s essential to figure out which among them are the best performing keywords. To do that, list down all the keywords you’re tracking and present your site’s ranking based on each specific keyword. Backlinks – In addition to keywords, backlinks are also essential to boost your website’s search engine rankings. Here, you can provide data showing the number of links, anchor text, landing page URL, source URL, backlink quality, referring domains, and number of sessions produced from each backlink, and many more. Web traffic – Present in your report should be the improvement in the web traffic, acquisition, and bounce rate. Not only that, but you should also focus on whether your website traffic is doing what you want it to do for you, which is to convert visitors into leads or customers. Your clients will more likely be interested in this SEO metric, that’s why you should also consider the conversion rate at the beginning of your report. The more you know and illustrate the conversion rate and other essential factors, the better you can explain the rest of your report. Through good tracking, you’ll learn how these variables can be credited to your work, which includes the progress you have from the previous weeks up until the present. a. Header tags – These tags should have relevant keywords and clear descriptions of the content that comes with them. Each heading that you write should also be unique. b. Metadata structure – Create meta descriptions and title tags that are unique. Be sure the keywords aren’t also over-optimized or spammy, and strictly keep the word count in mind. Approximately, title tags should have 55 characters or less, and 160 characters or less for meta descriptions. c. In-linking – Be sure all the links on the page are relevant and useful to each other. Focus on the URL structure by ensuring they’re short and straightforward. d. Images – Make unique alt tags for each image. To ensure the site loads faster, utilize smaller file sizes as much as possible. Moreover, explaining the potential impact of making these relevant changes is a smart idea. Page speed and performance – These are also vital metrics that you need to present in your report. If you have a fast page speed that always stays within 3 seconds, you can dramatically boost your SEO ranking. This is especially true if your competitors have slower loading speeds. Under this section, you have to take your analysis into account for each part and make a practical plan to move forward. The plan can be in the form of bullet points supported by data and graphs to justify your recommendations. On the other hand, it’s also essential to consider any external variables, such as lost backlinks and algorithm updates, that may significantly impact the results over time. Once you’ve obtained all the data, the next thing you should do is to draw your conclusions and develop the report. After laying down what you’ve worked on, why, and how it affects the business of your clients, don’t forget to outline their expectations. Inform them about your next courses of action, and the things that are working and not working. That way, they can prepare themselves for the following report. Also, when putting the SEO report together, consider the format and structure based on what you and your client like. For instance, a PDF format can be a great option because you can use graphs, images, and other useful visuals that will make your report more appealing and professional. However, you also have the opportunity to customize the report based on the needs of each of your clients. This is the final step of the creation process. Typically, the sending of SEO reports should be done every month so you can give your clients a progress update on how their SEO strategies are working. If you make monthly reports, you can pay attention to how you can execute your efforts for the next month. Besides, a month is considered a large amount of time, giving you an idea of whether your strategies are working well or not. Additionally, by sending your reports to your clients, you provide them with better suggestions on how to boost their site’s website rankings in the search slides. Given all of these reasons, it’s clear to say that a monthly SEO report is vital. It’s one way of seeing tangible results, which are enough for your clients to feel like they’re doing good with their campaign. Indeed, making and sending SEO reports for your clients should be one of your top priorities as a digital marketer. Even if it’s not an exciting job to do, it’s undoubtedly one of the essential things in the SEO world. By knowing how to create reports with these essential tips, you’re not only giving your clients a better sense of what’s going on with your website, but also creating an opportunity to get a site to move up in the search engines. So, never hesitate to repeat the entire process for all your clients, but make sure to consider their individual needs.